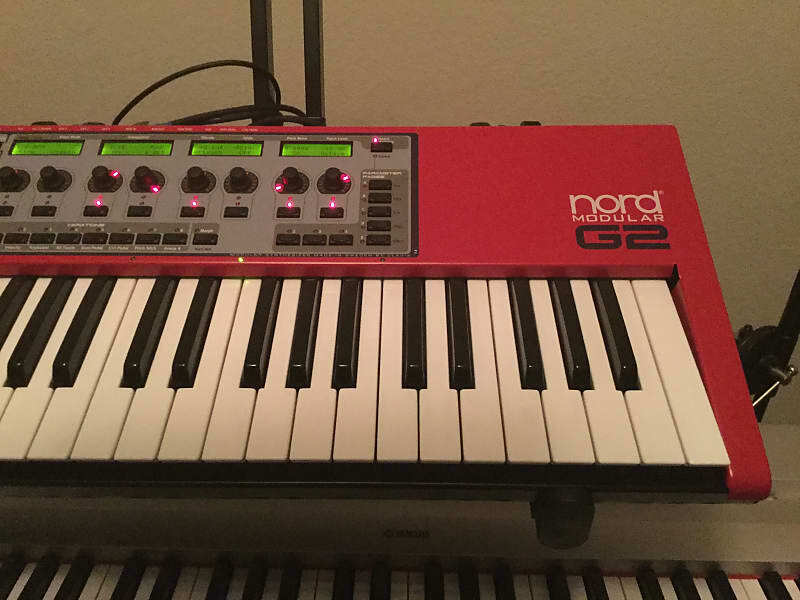 The highly sought after Nord G2 keyboard! This unit is in amazing shape! There are no blemishes to be seen at all on this unit! 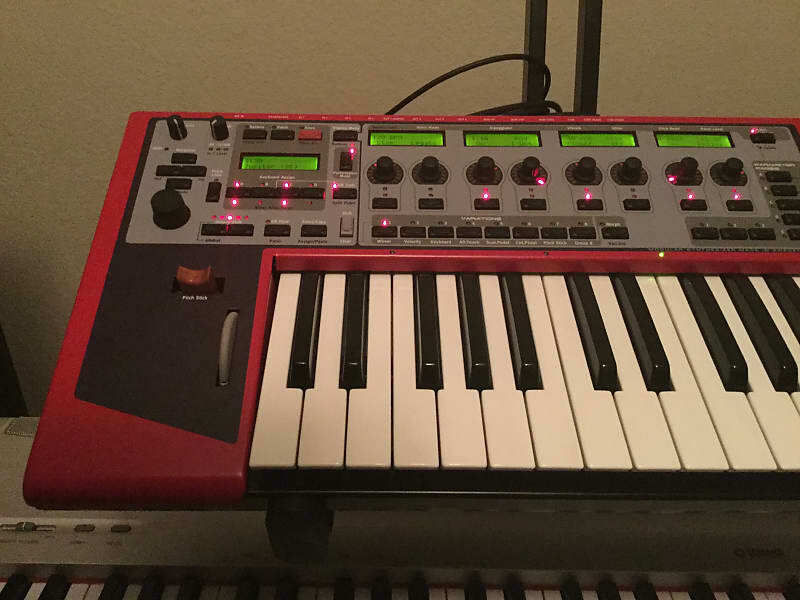 Just gave a go of all the knobs, keys and buttons, and everything appears to be functioning good. Sold as-is. Will ship in the original box along with the power cord. Unit has been flashed to the latest 1.62 firmware. 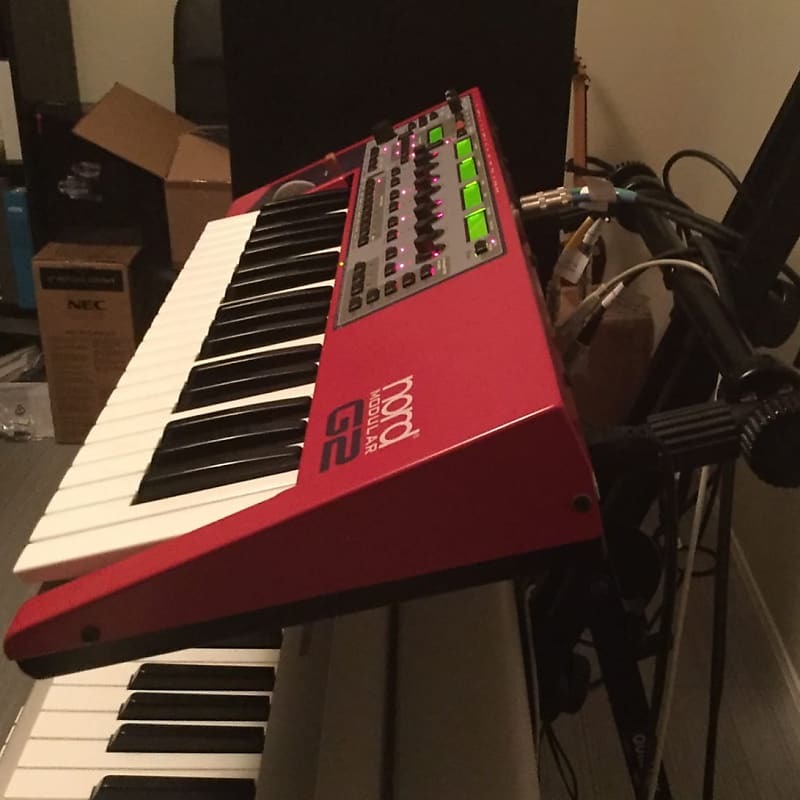 I will certainly miss this amazing beast, but it's time to do a studio overhaul and move onto newer gear for myself. It's sat on the stand in a smoke free studio, and never gigged. Shipping includes insurance. 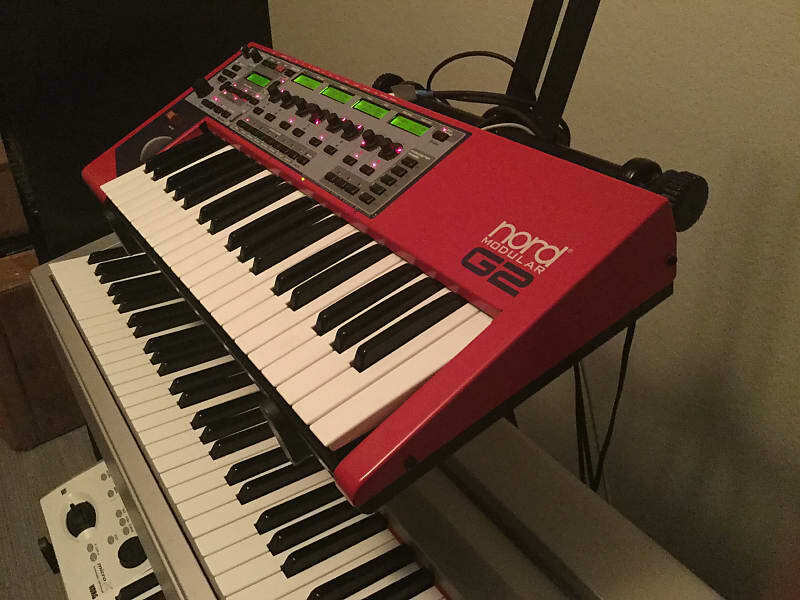 Clavia's second generation of the Nord Modular platform - the Nord Modular G2 - is a truly innovative hardware platform with focus on live performance features! The G2 offers fully assignable controllers to turn, bend and tweak. In fact, the ultra-flexible user interface of the G2 takes real-time editing to a higher level. 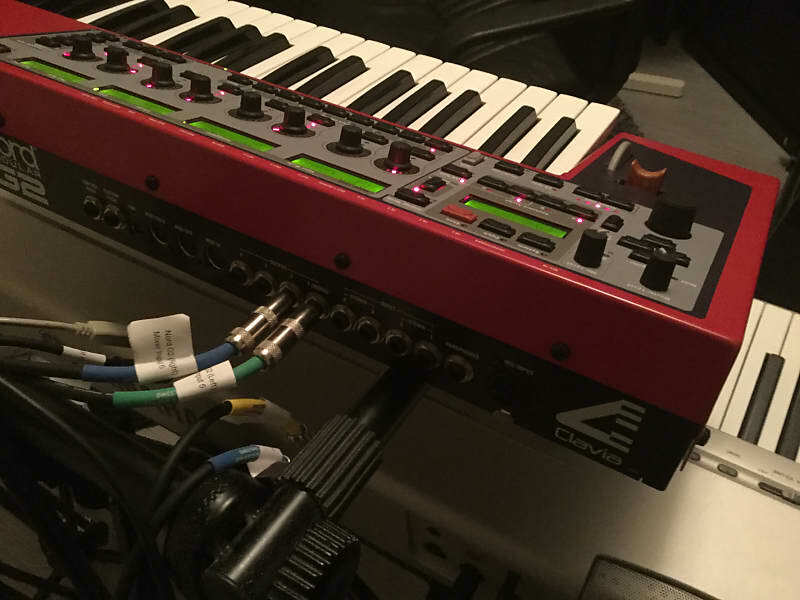 Ins & Outs4 analog Audio inputs including an XLR mic input with built-in amplifier give you plenty of room for inserting external signals and patch them! The crystal clear 24-bit, 96 kHz A/D and D/A converters on the G2 ensure highest possible audio quality! Control & TweakWhether you want to play traditional synth patches or control step sequencers in real-time or make cool sounds with delays, reverb and audio processing, the G2 offers plenty of knobs and controllers to tweak! 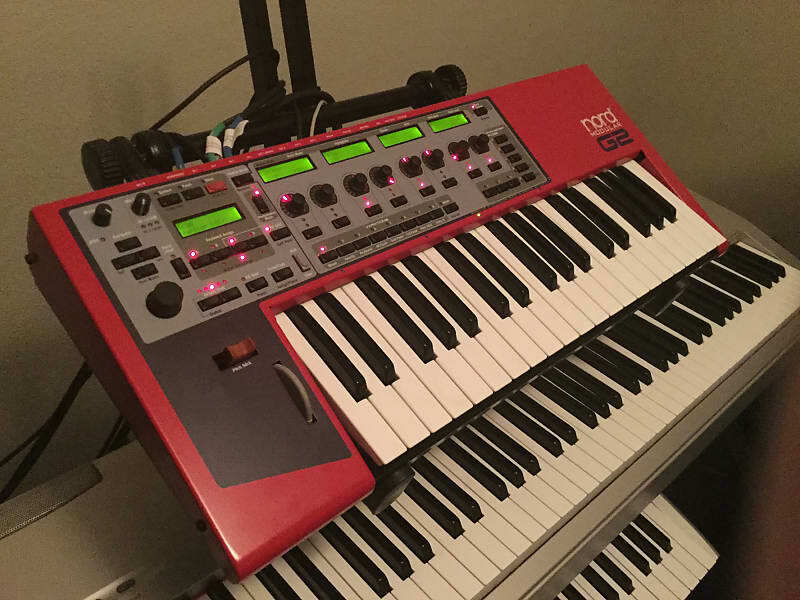 Talk about sequencing - tweaking a step sequencer will be a lot of fun and extremely easy thanks to the real-time editing controls and the visual feedback from the LCD's. 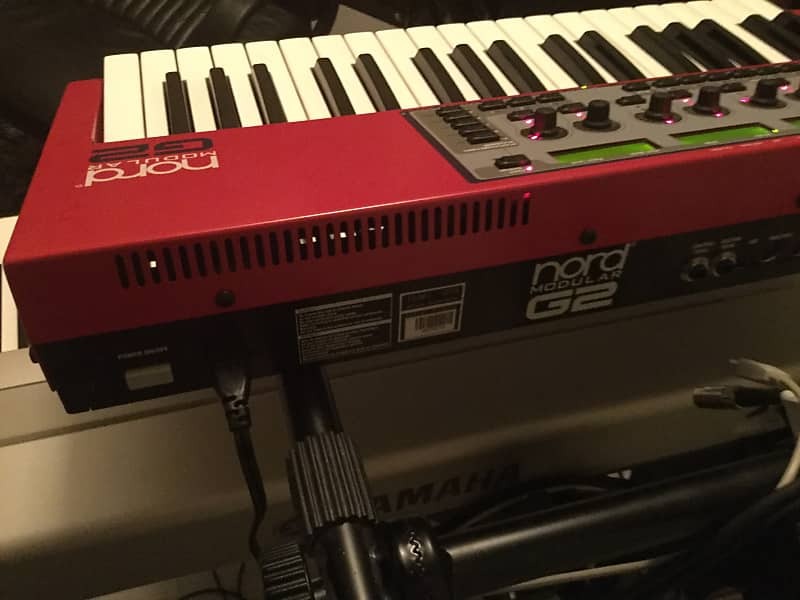 The fantastic Morph capabilities on the G2 offer enormous sonic variations. The G2's 8 Morph Groups per patch let you control sets of parameters from single internal control sources - and via MIDI. Patch Editor SoftwareThe new Modular G2 Patch Editor is a joy to work with. 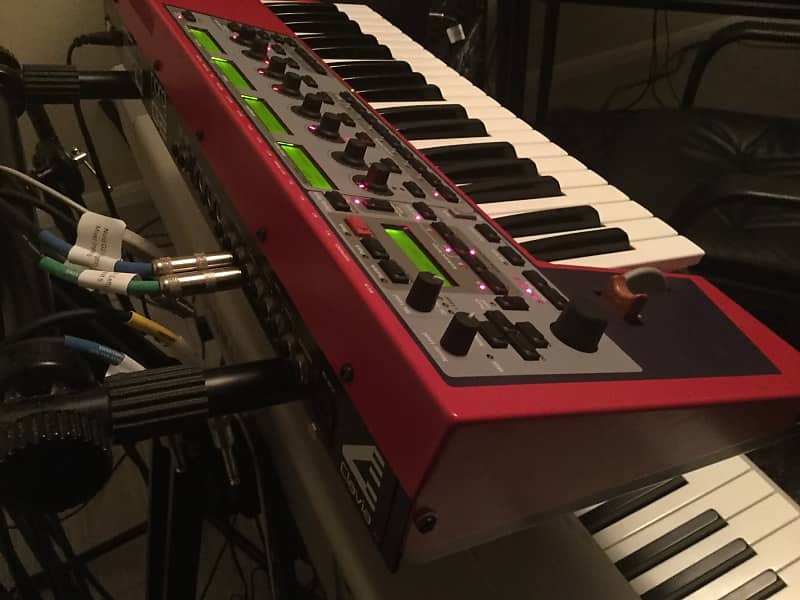 The logical architecture and great visual overview, including user-defined coloring of modules and color-coded module groups, make it easy to patch and "lay out" your sounds. Thanks to the real-time USB communication, the G2 immediately responds to your patching and follows your moves. Most of the modules are self-optimizing, meaning that they adapt their bandwidth to the patched signals. This opens up for big patches and greater polyphony. The flexible modules also make it easy to alter functionality without needing to replace modules. But if you want to replace modules, we made that very easy too: replace the module and the cables will "jump" to the corresponding connections on the new module! The Modular G2 Patch Editor comes with more than a hundred great modules ready to be patched! Your imagination is definitely only the beginning! I will ship with tracking to the USA only. I do not ship internationally.